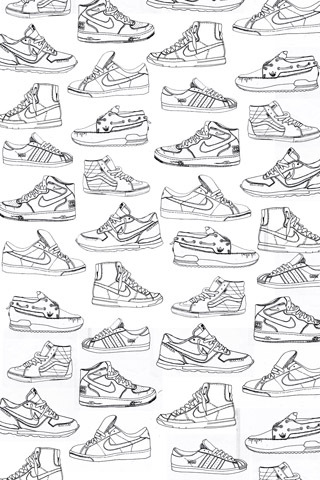 My sneaker iphone wallpapers on Poolga! 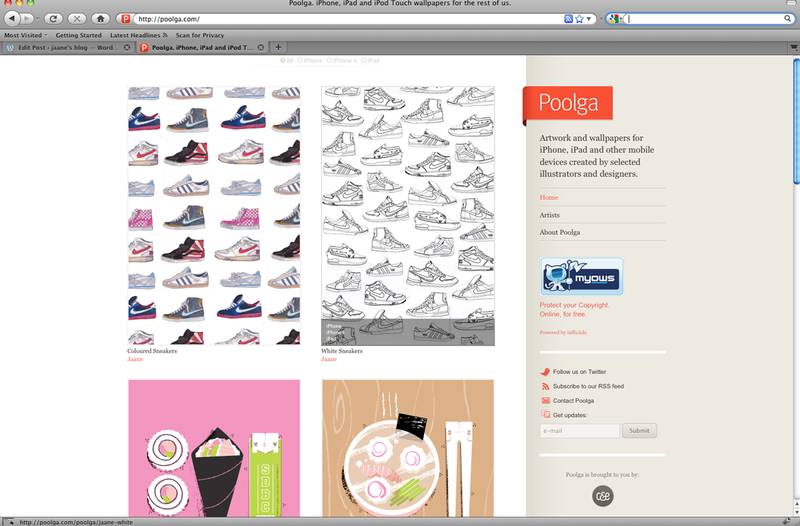 Poolga publishes artwork and wallpapers for iPhone, iPad and other mobile devices created by selected illustrators and designers. It’s a site worth visiting for their very varied collection of illustrated iphone wallpapers. 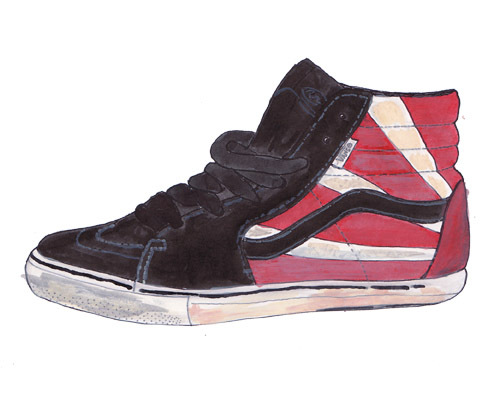 I’m very proud to say that they recently accepted my sneaker pattern design. 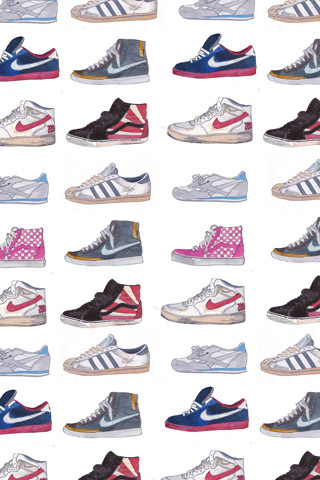 So if you’re interested in having the coloured or black and white version of my sneaker pattern on your iphone, they are available for download on http://www.poolga.com. 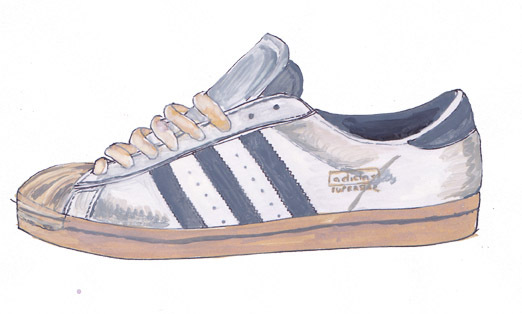 From Jaane’s blog: “Sneakers. Such nice pieces of design. And yet, most of the time they are locked away in a dark and smelly closet…” – So she started painting them and now they’re out of the closet and into our (non-smelly) phones. Why put a shoe in a dark and smelly place? 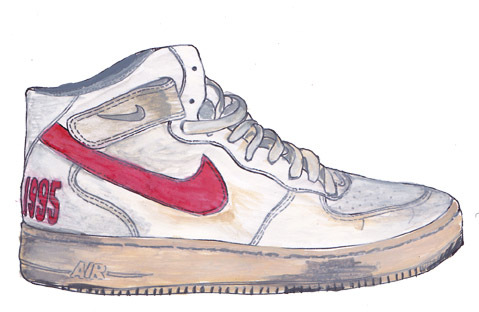 Sneakers. Such nice pieces of design. And yet, most of the time they are locked away in a dark and smelly closet. Since we (Hans and me) have a vast collection of shoes, I wanted to give them a more prominent place in our house. More precisely on a big print in a big frame on the landing of our second floor. That’s how I started painting shoes. I’ve already painted seven pieces. I’m not finished yet, I need more shoes to fill the gigantic frame. So I still have some work to do, but I already wanted to share some…shoes! I also made a pattern. 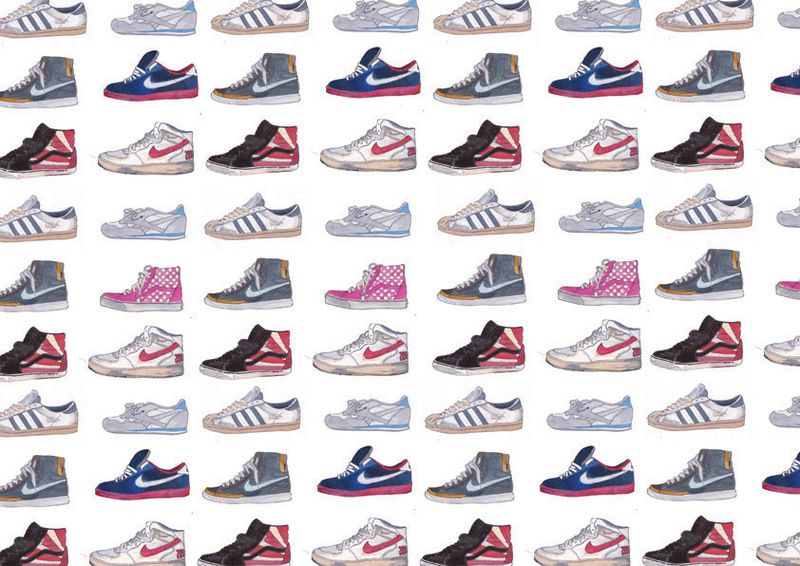 Maybe I should make some sneaker-wallpaper and use it to paper the walls of our sneaker-room?